Businesses need easy-to-use analytics products that deliver complex analysis and insights with a low cost of ownership. And industry analysts continue to recognize our commitment to delivering just that. For the tenth consecutive year, Microsoft is positioned in the Leaders quadrant in the Gartner Magic Quadrant for Business Intelligence and Analytics Platforms*. 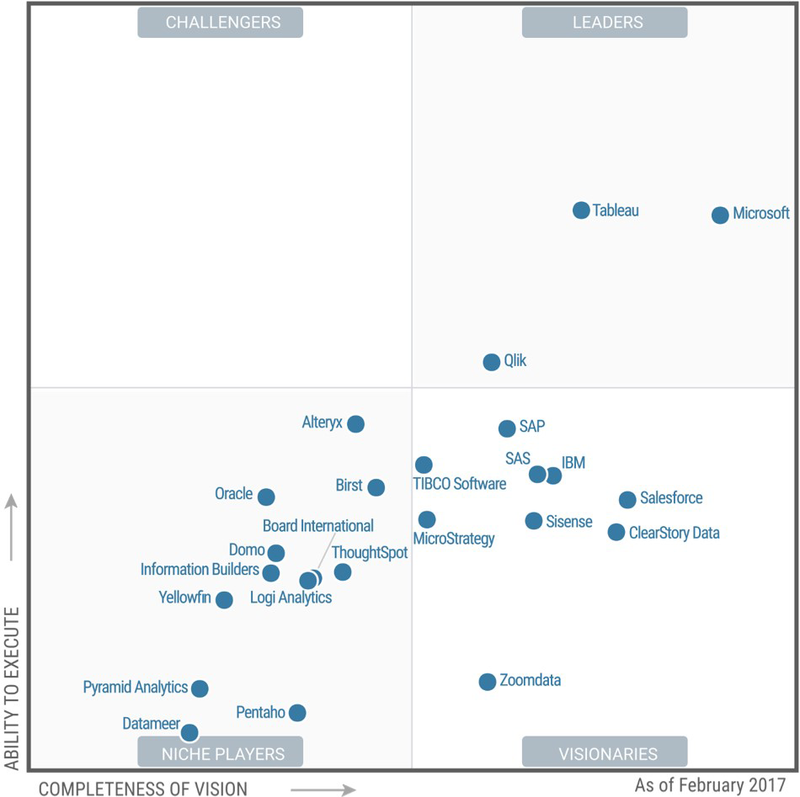 The 2017 report marks the second year running that Microsoft is positioned furthest for completeness of vision in the Leaders quadrant. Data is the lifeblood of businesses, and competitive advantage is fueled by the ability to analyze vast stores of it to surface key insights. That’s why we’re honored to be recognized as a Leader in Gartner’s evaluation of the BI and analytics market. Learn more about Gartner’s assessment of Microsoft Power BI and how the company’s offerings stack up against the industry.